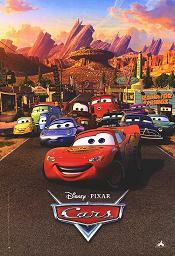 Cars was not the home run many of its Pixar contemporaries can lay claim to be, but is story of cocky race car Lightning McQueen (Owen Wilson), finding friendship and losing his ego in small town U.S.A. had many wonderful attributes, not least the last appearance by the late, great Paul Newman as the wise Doc Hudson. 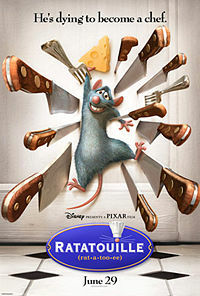 Brad Bird’s follow up to The Incredibles saw the lauded filmmaker once again in top form with his unlikely tale of a rodent (Patton Oswalt) serving culinary masterpieces in the heart of Paris. Yet for all of its wonder, the film’s best moment is saved for Anton Ego (Peter O’Toole), who (like the viewer) is transported to the innocence of his childhood, thanks to the bountiful chef d'oeuvre served before him. This tale of two fishes saw Pixar hit highs in merchandising not seen since the release of Toy Story, with every little runt wanting a Nemo of their own. 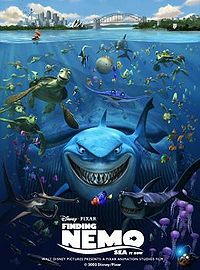 It’s not without good cause: primarily an adventure tale featuring a neurotic clown fish (Albert Brooks) trying to find his rebellious son (Alexander Gould), Finding Nemo is filled with dazzling visuals and superb voice work, with Ellen DeGeneres stealing the show as the forgetful Dori. It proves the ingenuity of the Pixar staple, that by the third instalment of its token franchise, not only have the creative juices not been exhausted, but 15 years after the first Toy Story, this third incarnation still managed to transport its viewers (especially us cynical adults) to a wondrous and emotionally fulfilling universe. One of Pixar’s greatest assets is their ability to assemble great voice talent to help bring their animated creations to life. Cue Monsters Inc., where the dynamic duo of Billy Crystal and John Goodman provide an abundance of wit and sensitivity to their roles of monstrous best friends turned guardians of a human child, who could bring an end to their humans-free world. Thrilling action set pieces and a truly menacing villain in Steve Buscemi’s reptilian Randall round out this most touching of animated flicks. Leave it to the masterminds at Pixar to have its two protagonists – a pair of robots who fall in love - to show the beauty, flaws, and potential for redemption in humanity. 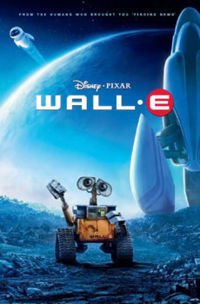 As relevant as it is breathtaking, WALL-E slyly mixes social commentary with a touching love story between lonely lovelorn WALL-E and his EVE. Sound effects wizard Ben Burtt has the title character brimming with life via an assortment of bells and whistles, melting many a heart with his tenacious and unflinching determination in the face of adversity. 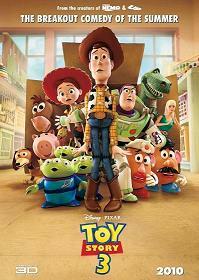 The film which started it all way bay in 1995, Toy Story still holds as a family classic whose combination of visual excellence, intelligent wit, and pitch perfect sentiment has not withered, where much like a fine animated wine its pixels have become richer with time. The pairing of lanky cowboy Woody (Tom Hanks) and adventuring spaceman Buzz Lightyear (Tim Allen) brought with it one of the best duo’s in modern cinema, and set the bench mark for voice acting in animated films. Has the sight of 1000 balloons ever looked so glorious? Is there a better montage than that found in this film’s heartbreaking opening scenes? If there is one word to describe Up, it would be: risky. Having an elderly widow and obese young boy as the protagonists in an animated adventure tale would require a large leap of faith for any movie studio. Yet through Pixar greatness is achieved with these most unlikely of partnerships, giving way to a vibrant exploration of how life’s great adventures can come from death’s gloomy depths. The greatest superhero movie ever made? You betcha! 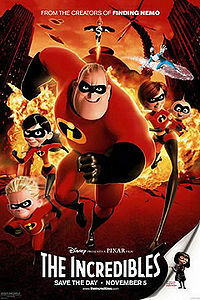 Written and directed by animation Czar Brad Bird, The Incredibles delivered as both superhero adventure and family dramedy, with its depiction of a family of outlawed superheros who spring into action -and find themselves- after a demented fanatic/super villain (Jason Lee) unleashes destruction upon the world. The visual prowess displayed in the film is the best Pixar have yet to deliver. Each and every one of its characters well crafted, written, and superbly given voice by a talented cast led by Craig T. Nelson and Holly Hunter as Mr. Incredible and Elastigirl, respectfully. Plus, where else could you find a 6 month old baby morph into a fireball? 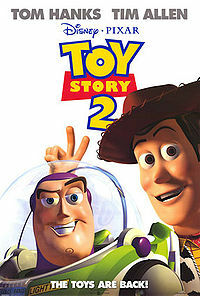 The Empire Strikes Back of animated films, Toy Story 2 took the successful template of the groundbreaking original and heightened it with more adventure and more emotion. Where the first film focused on the competition between Woody (Tom Hanks) and Buzz Lightyear (Tim Allen) for their love of their human playmate, its sequel looks at toys as an asset to be collected, evaluated, and bought for the highest bidder, with Woody a rare missing piece in a collection of rootin’ tootin’ toys, among them Joan Cusack’s embattled Jessie the Yodelling Cowgirl, and Kelsey Grammer’s bitter Stinky Pete the Prospector. When Woody is stolen by a greedy toy collector (Wayne knight), Buzz and co. give chase and in the process Pixar reach creative highs in animated family adventure. Comedy brilliantly meshes with thrilling action sequences, with special mention to one such scene involving a group of toys, witches’ hats, and a busy city street that will have viewers chomping on their nails while laughing hysterically. In the end, the Toy Story films are all about the power of friendship in even the most dire of circumstances. It would be hard pressed to find more humanity than that inhabited and exhibited by these synthetic creations, which have thrilled and moved generations of both children and adults alike. 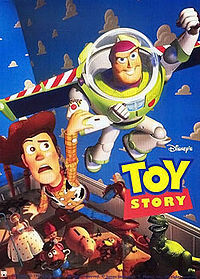 Toy Story 2 embodies that spirit the best.